Glue Store underwent a complete brand overhaul with a strong shift towards a younger, trendier audience. Despite this shift, their loyalty program stayed the same. It focused more on standard discounting than on customer experience and beneficial shopper behaviour. As a result, Arkade was engaged to review the Glue Store customer experience. With customer discovery showing engagement in the existing program waning, a new approach was required to encourage frequency, advocacy and loyalty. With a focus on younger audiences with a love for trends, streetwear and being a little outside the square, a suitable approach needed to be engaging and provide a strong incentive to continue to engage with a retail brand that housed a host of other branded clothing and accessories. Platform discovery uncovered that the new solution needed to fully integrate with existing eCommerce, ERP and POS systems. It also needed to include implementation of new email communications and customer service platforms. Arkade designed and developed a customer experience focused loyalty and benefits program for a younger generation of fashion and tech-savvy shoppers. An omnichannel program was implemented with personalisation at its core. It allows customers to earn their own individual rewards in order to trigger incremental interactions and purchases. 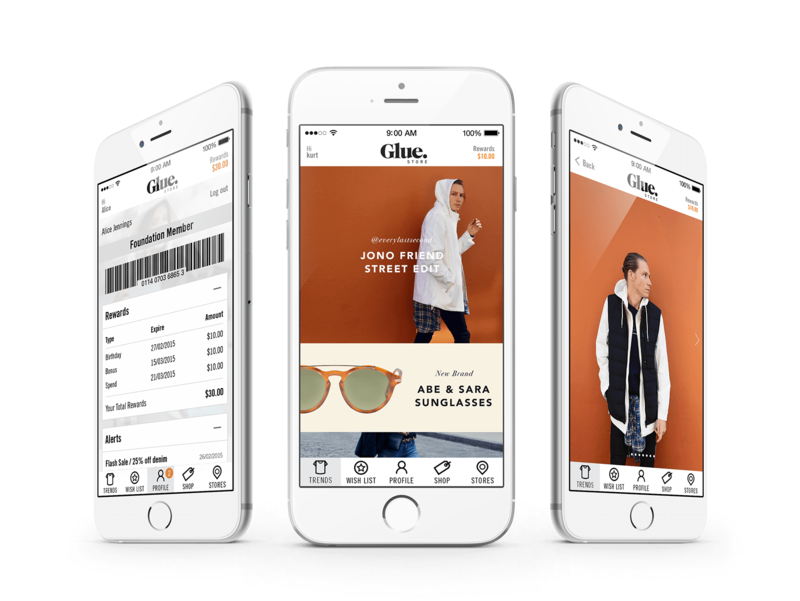 New tools and processes were created to ensure customers had a remarkable and memorable experience every time they interacted with Glue: in store, online and on mobile.